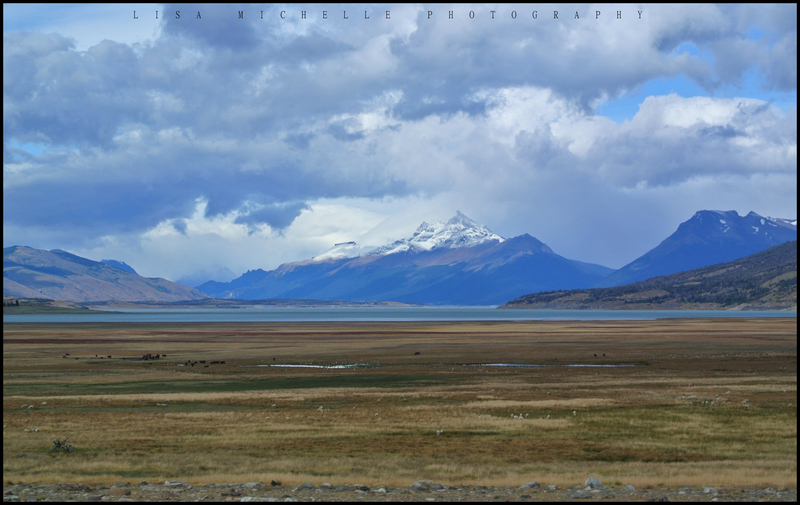 Patagonia is the region that encompasses roughly the bottom third of the countries of Argentina & Chile. It is an area of the world that has attracted travelers & bandits alike for centuries. 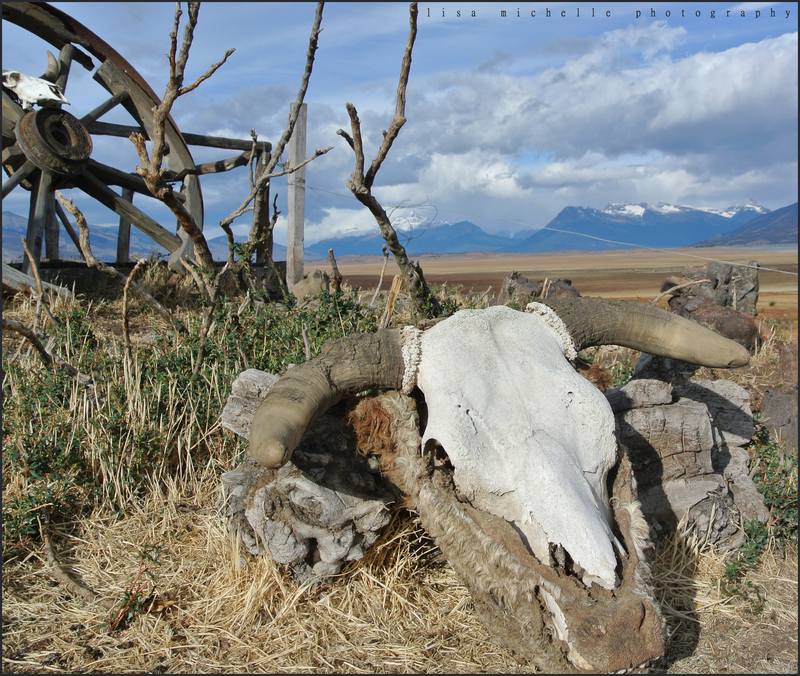 Butch Cassidy, the Sun Dance Kid and Etta Place spent time here trying to escape the law and make an honest life for themselves, as is documented in Bruce Chatwin’s (a fellow traveler) timeless classic “In Patagonia”. Unfortunately for them, that didn’t last too long. 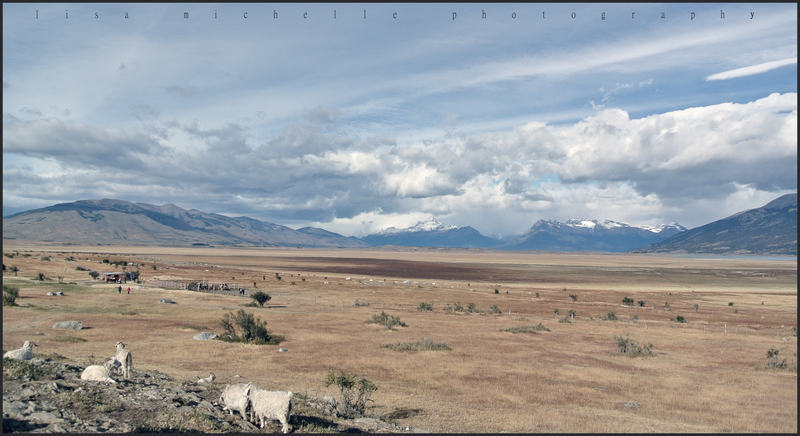 What attracted us, along with countless others, to Patagonia is the regions beautiful scenery. From snow-capped mountain peaks & glistening lakes to the towering plateaus & vast expanses of wind-blown desolateness, Patagonia is without a doubt one of the most beautiful and unpopulated places on the Earth. 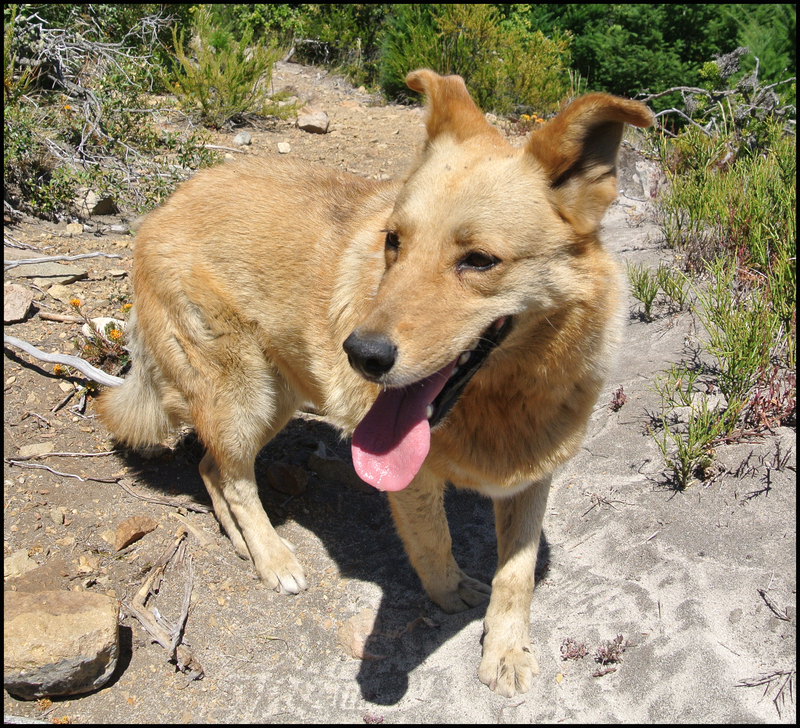 Our first stop after leaving Susan, Dave, & Tiv in San Rafael was Bariloche, Argentina. Located on the shores of Lake Nahuel Huapi and home to countless chocolate shops, Bariloche definitely had the feel of a town in the Swiss Alps. 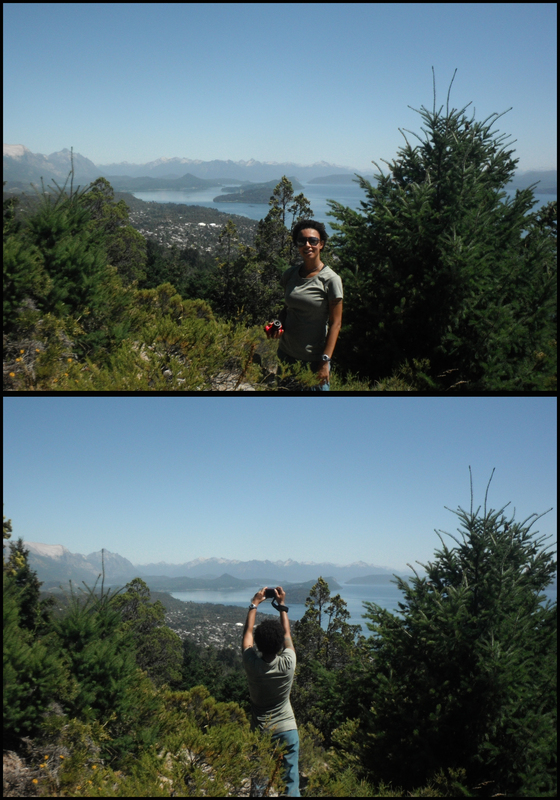 We had only planned to stay two nights in Bariloche, so we figured what better way to spend our one full day there than taking a nice hike. A woman working at the hostel that we were staying at recommended an “easier” three hour hike that would take us up and over one of the surrounding mountains to a smaller lake that would be warm enough to swim in. 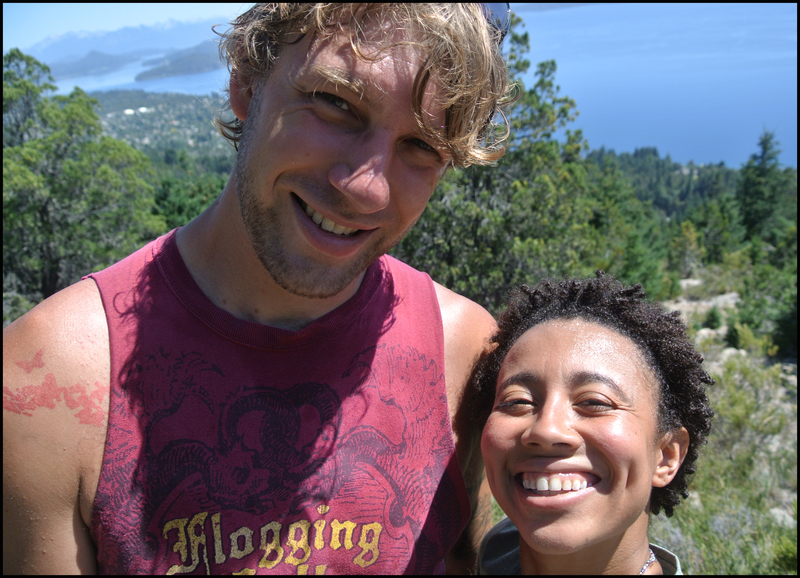 Notice how happy we are at the beginning of the hike! What she neglected to tell us was that the map the hostel gave us was horrible and that the “trail” had zero signs that could give us even the slightest idea where to go. After several hours of hiking we reached what we assumed was the end of the trail. 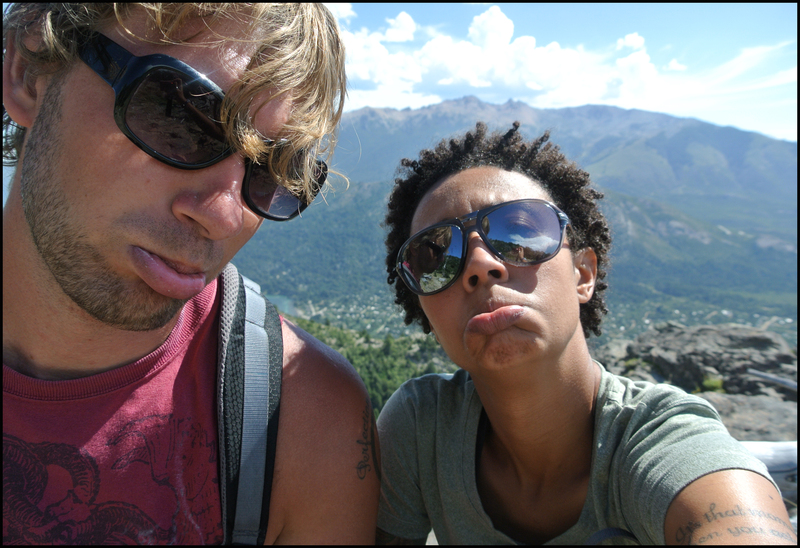 We could see the lake, but had no idea how to get down to it outside of summer-salting down the mountain. After 6 hours of hiking and attempts at 4 different side trails proved fruitless, we finally decided to abandon our mission and get off the mountain. This is Kevin – who turned out to be a girl, but we’d already named her – she followed us for 4 hours! This is probably around the 5 hour, 45 minute mark, when we finally had to throw in the towel! 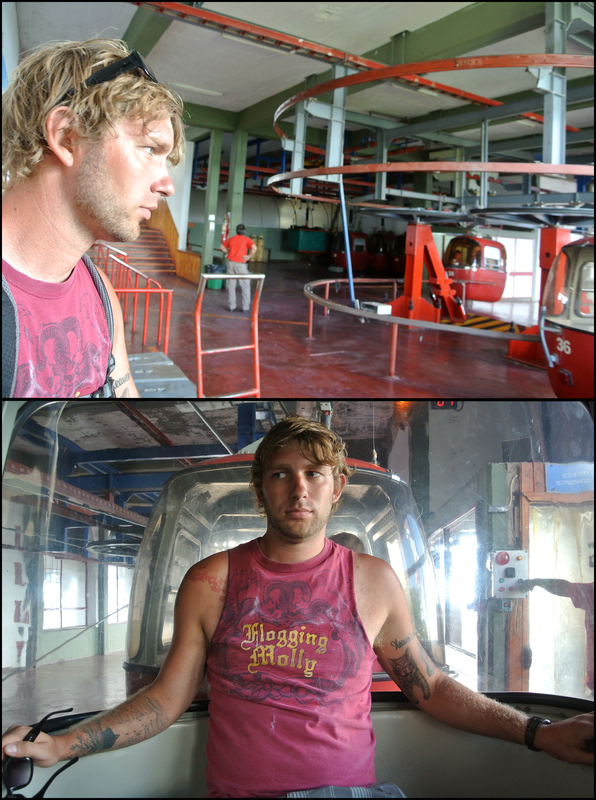 Unfortunately, for me there were two ways off: hike 8 km back down the way we came or take the suspended cable car. Despite my debilitating fear of heights, Lisa finally talked me into taking the cable car down and we lived to talk about it! 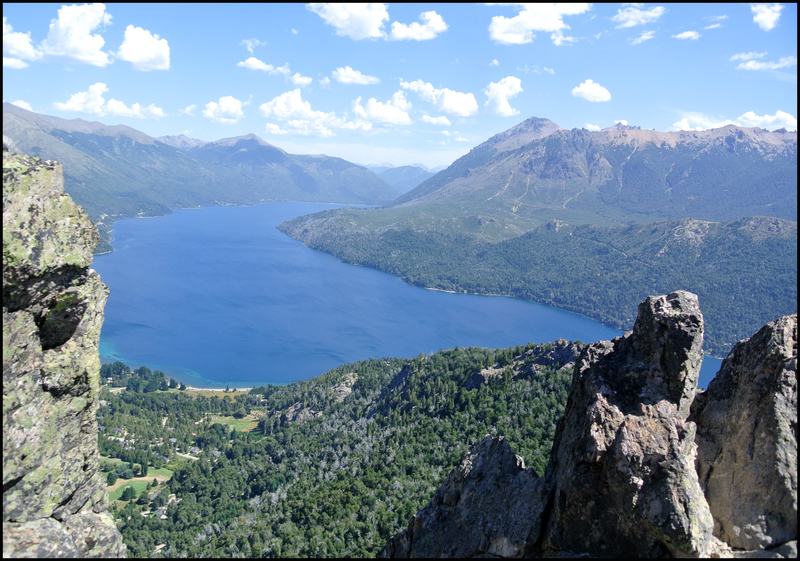 Bariloche was great and we wish we could have spent a little more time there, but we already made plans to head south to a small mountain town called Esquel, Argentina with plans to camp at the Parque Nacional de los Alerces. As we all know, sometimes the best of plans can get dashed out. In our case rain was the main culprit. After 3 days of straight rain we decided that it just wasn’t in the cards for us to camp in Esquel. At this point we had two options, head south again or end our time in Argentina. 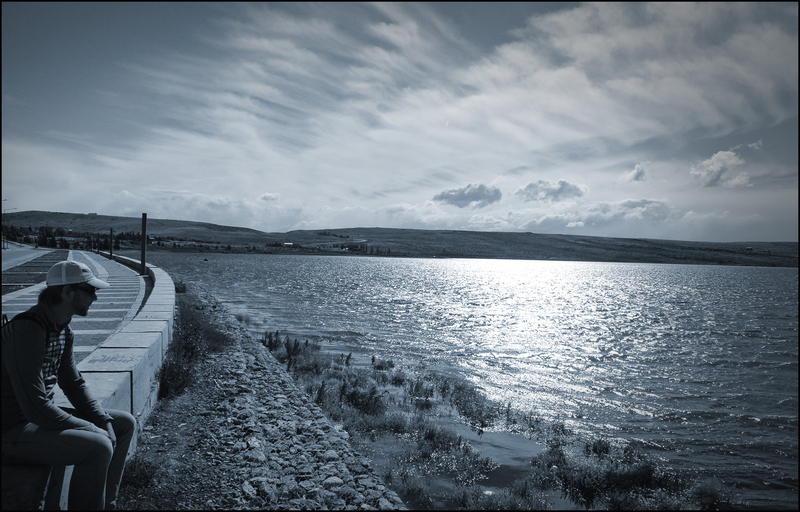 In the end we decided that El Calafate, Argentina, in the Southern third of Patagonia, was going to be our next destination. 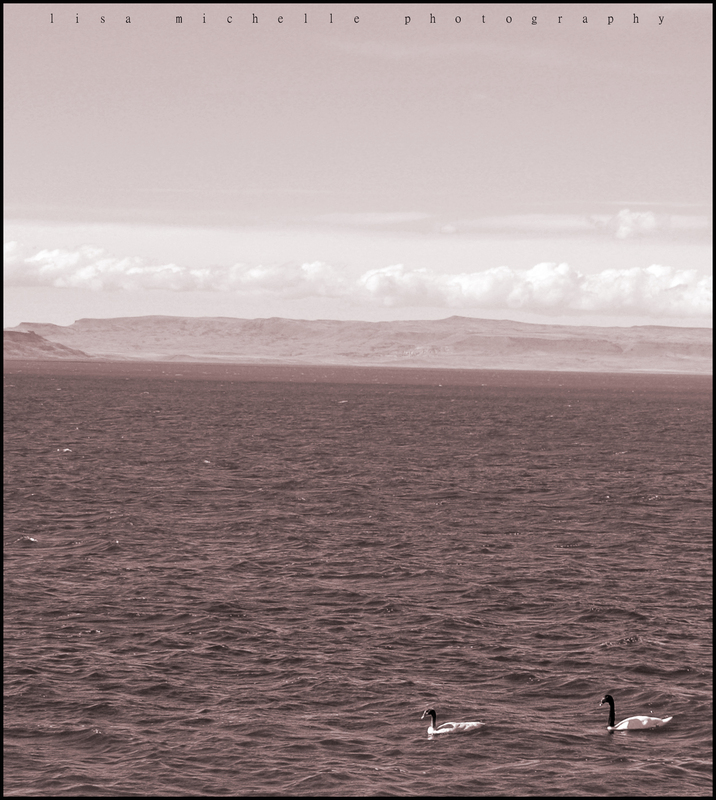 Like pretty much everywhere else in Patagonia, El Calafate proved to be a really beautiful city. With a population of around 100,000, it plays host to many thousands more during the high tourist season of January & February. During this time prices are very high for food and lodging. Despite our best shopping around, every restaurant ranged from kind of expensive to really expensive. Nevertheless, we had a great time in El Calafate after we changed hostels to one that was a little farther our of town, but had a great atmosphere, where we met a handful of fun travels along with a great staff! 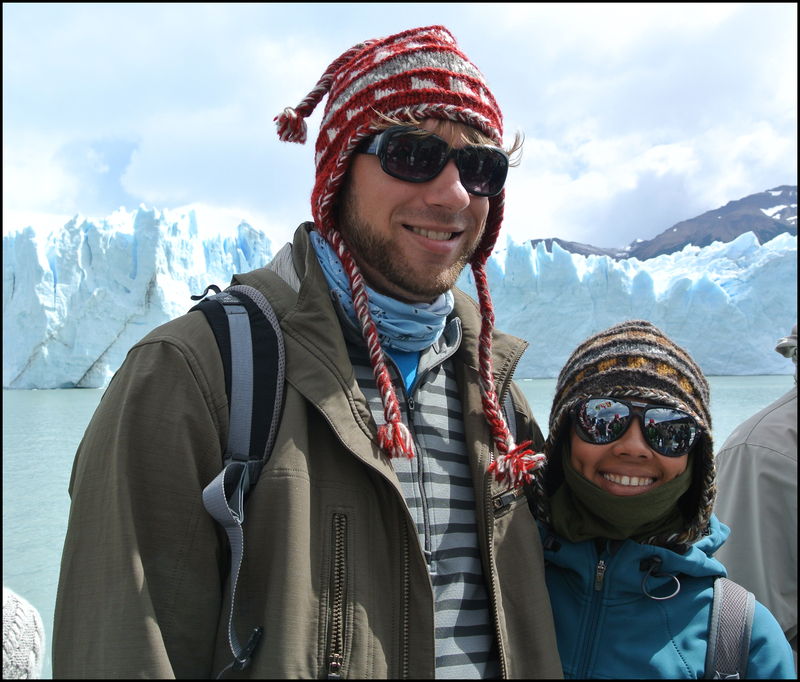 After a few days of hanging out around town, we were finally able to get on a tour to El Calafate’s main attraction, the Perito Moreno Glacier. 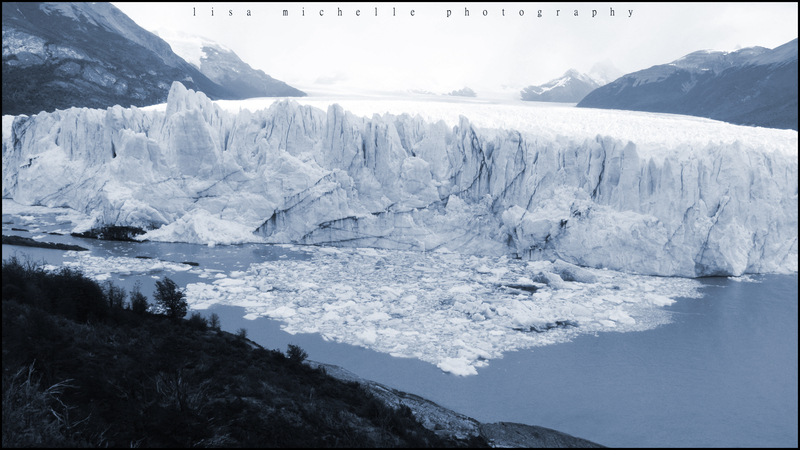 One of the world’s fastest moving glaciers, creeping along at a little more than 2 meters a day & dumping 4 story building size pieces of ice into Lake Argentina all day long, Perito Moreno stretches some 35 plus kilometers back through the mountains and across the Chilean border. 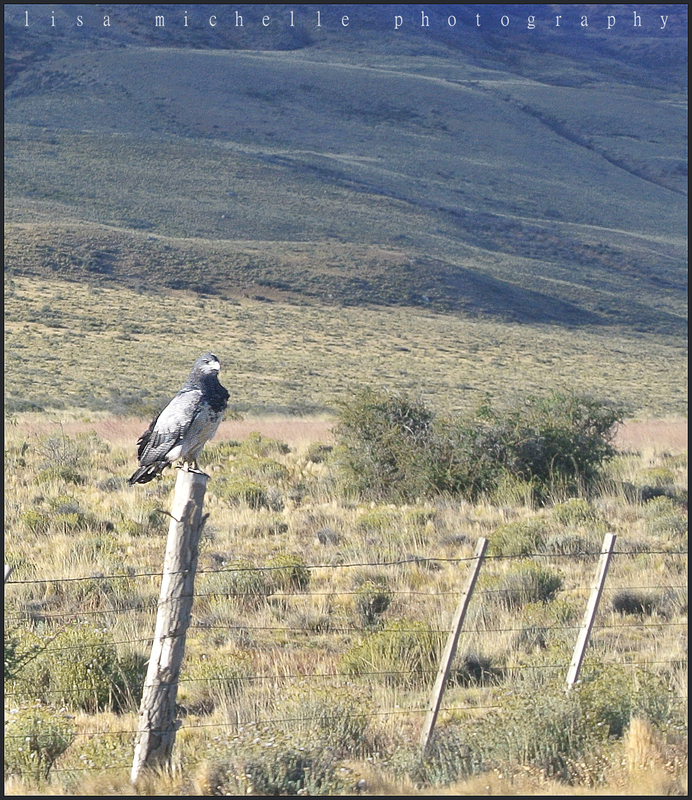 Our tour took the back roads to the National Park allowing us to see falcons & eagles at close range as well as stopping at a large estancia (ranch) that was home to horses, cows, goats, and a milk hungry cat. 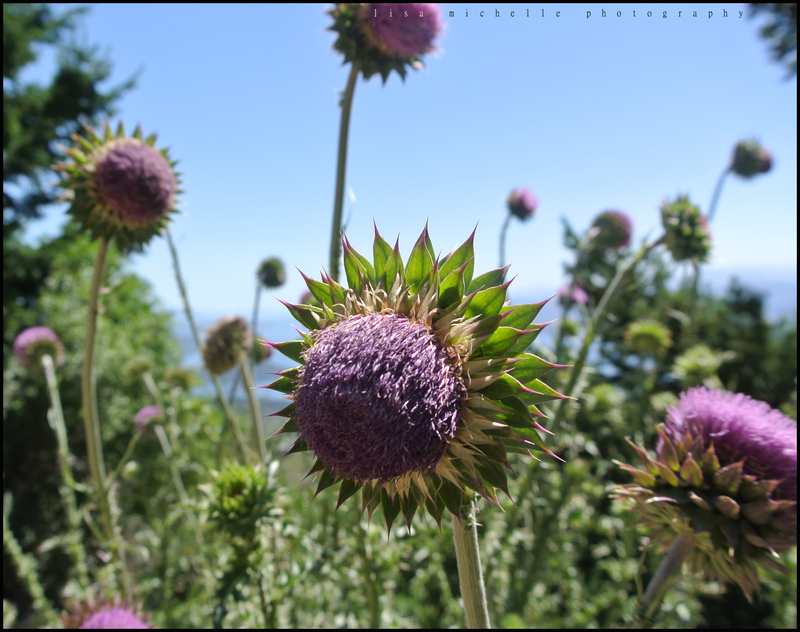 According to Lisa, my photo skills are improving – I took this shot! Lisa even had a good time, despite the fact that she was freezing! We admittedly had some reservations about spending money to see a giant block of ice, but it was one of the most impressive things that we’ve seen so far on the trip. 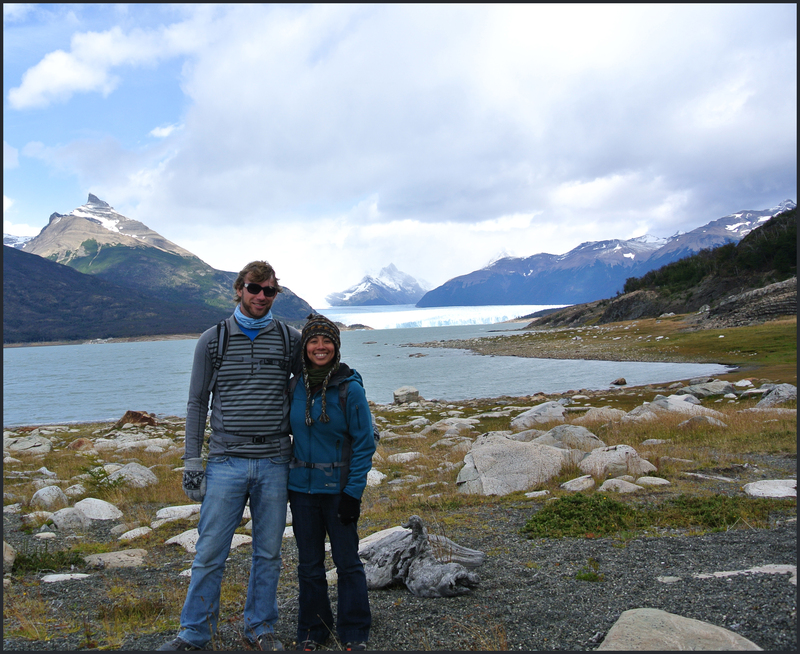 All in all, El Calafate was one of our favorite places so far on this trip, despite it’s Wisconsin like cool/cold weather. 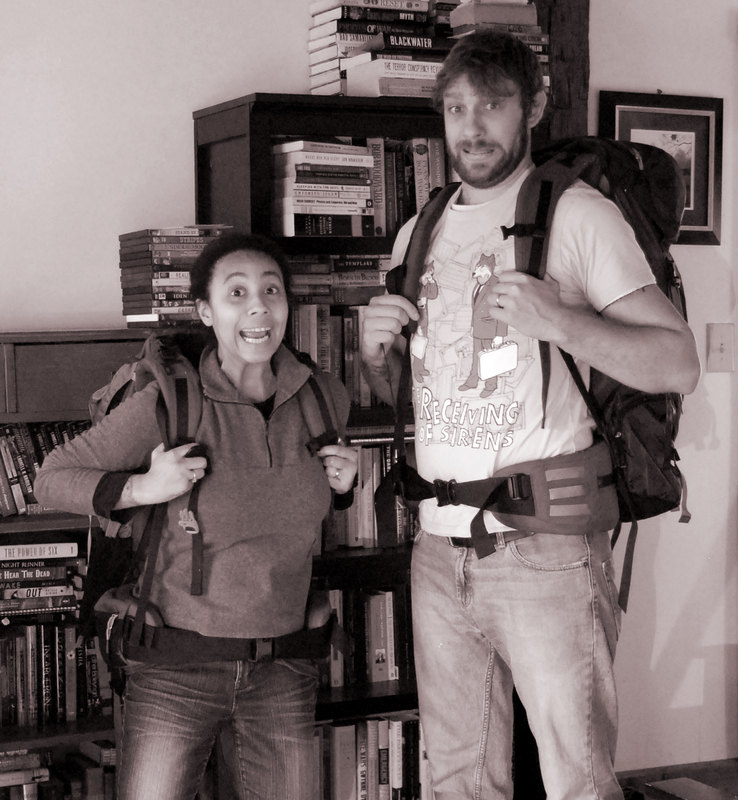 *We’ve decided to dedicate Wednesdays to gear: the items we’ve bought, why we bought it, stuff we’ve returned. You get the idea. We’d love to hear what you guys think, too – the good and the bad. If we bought headlamps that you hated, we want to hear about it. And, sometime (probably at the halfway mark of our trip) we’ll let you know what goodies treated us well & which ones we had to ditch along the way. This Wednesday we’ll be focusing on a major item: the big bag! We’ll each have 1 big bag to carry our clothes & toiletries in and 1 small bag to carry electronics, water, cards, a lightweight sweater & any other small items that might be handy/entertaining. You’ll learn more about the small bags we picked in the next addition of Gear Mail. No, we weren’t planning on getting the equivalent of each others bags or try to answer the cosmic question about why women & men are the way they are. After hours at REI these were the packs we found suited us: comfortable – even with lots of weight in them, accessible, lightweight but spacious. I tried on 3 bags & Corey tried on 4. In the end he was torn between this one and an Osprey model. Going in I knew that I needed something that was going to be nice to my back. Even though it’s a mild case, my scoliosis isn’t something I want to worry about halfway around the world. I read a lot of good reviews about the Gregory Deva 70 pack, but it just didn’t seem to fit right on me. My height was the main factor & the hip belt felt funny. While there is an ongoing debate in the independent travel community about packing a lot vs. the minimalist approach of taking as little as possible, we decided to go with what makes us feel comfortable. 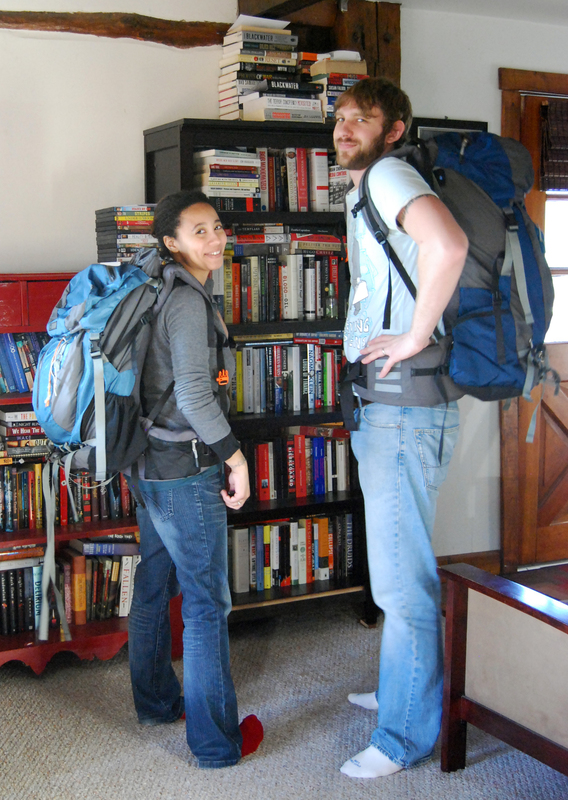 We realize that our packs may be on the big side, but this is our first big trip and we’re happy with our decision. Maybe we’ll go for the tiniest packs for our next big trip, but until we’ve experienced the road for ourselves, we won’t know. The thought is, we’d rather take what we think we’ll need now & toss it along the way later. So, this will be our house (duplex?) for our big adventure. Needless to say, we’re pretty excited! 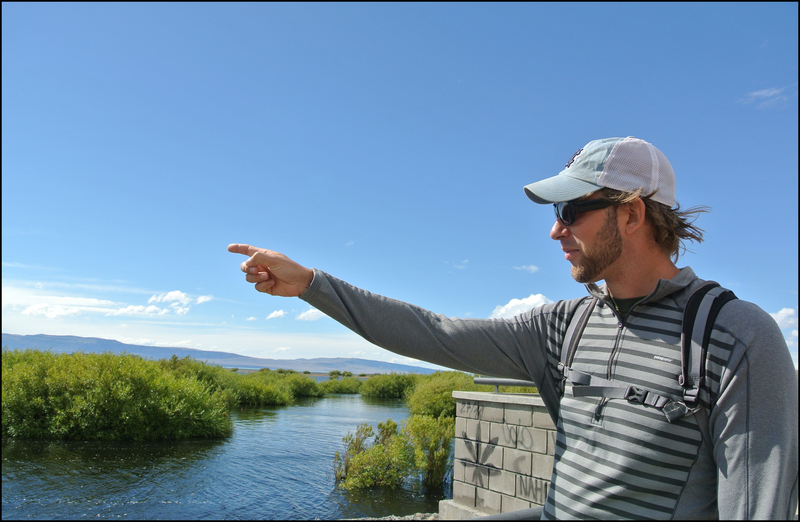 Make sure to check out the next Gear Mail post on our daypacks!